Celebrated pre-Independence Day with a pamper sesh at Princess Hazel Salon and Spa. During my visit, I tried their Foot Spa, Regular Facial and Threading services. To make things more fun, I decided to take along my family because they too were in dire need of primping and soothing. Dennis had a head massage to alleviate his sinusitis and Nikola got a haircut because her bangs were already getting in her eyes. 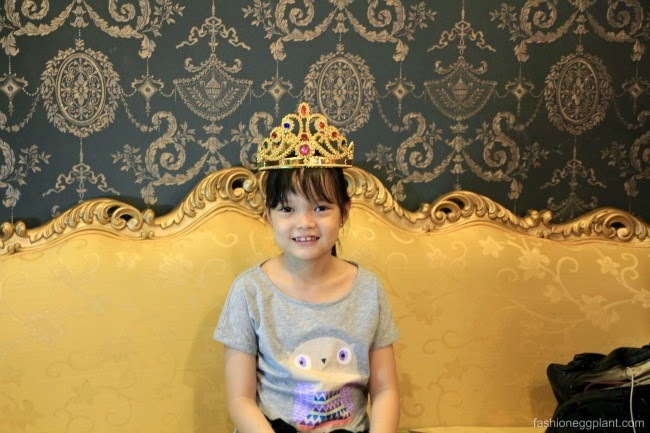 Princess Hazel is a neighborhood salon that combines the tranquility and services of a spa. 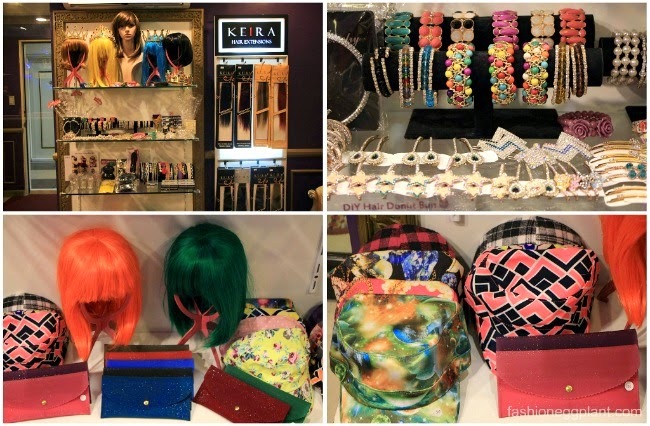 They also sell lots of hair related merchandise like these bejeweled hair clips, colored wigs, and hair extensions. But for me, the real star of Princess Hazel S and S is Ms. Ruby. She is an all-around wonder woman who is an expert at her craft. It also helps that she goes out of her way to make you feel extra welcome during your visit. She carried on an easy conversation with me during my foot spa and also took the time to explain some of the science behind the machine used during my facial. According to her, the advantage of their technique is that they don't prick acne mindlessly which sometimes ends up creating unsightly holes and pockmarks on the surface of the skin. Instead, they open up the pores with steam and then vacuum out the residue left by make-up as well as blackheads and whiteheads which surface during the steaming process. I like it because it eradicates the use of needles which I am not particularly a fan of especially when it involves my face. But what Ms. Ruby is most awesome at is shaping the eyebrows and threading. On a scale of 1-5 with 1 being the most painful, she scores a 3.8. A bit uncomfortable at times but she shapes great. She's also quick and thorough which is always a winning combination in my threading book. While I was getting all those things done, I sent Dennis off to the massage area (where he later fell asleep, he said they did a great job) and Nikola to the Salon room to get her haircut so they don't get bored while waiting for me to finish. If you live in the Quezon City area and are looking for a good yet affordable place to get a relaxing makeover, check out Princess Hazel Salon and Spa. Giveaway will last for 2 weeks. At the end, 10 winners will be chosen randomly. Good Luck! Princess Hazel Salon and Spa is located at Unit 203 Pacific Tower, Quezon Avenue, Bgy. South Triangle, Quezon City. i cant wait to experience to be a princess just one day ^=^ that's my dream!! OooooH, I want this kind of pampering!! Love the interiors! Such a regal place to get pampered! I'm sure my daughter will enjoy having her mane cut done here.